Click on the logo above to view the original article. Historian and author Roger Underwood has been recognised for decades of service to forestry and bushfire management in WA. On Friday the Palmyra local was appointed as a Member of the Order of Australia. He said the honour was something he had gained thanks as much to the work of those around him as it was for his own efforts managing and caring for forests. “It just so happens I’ve been more in the public eye,” he said. Mr Underwood’s first job after leaving high school was with a forestry fire gang in Dwellingup in the summer of 1958-59. On his second day he was deployed to a bushfire sparked by a steam locomotive hauling logs. It would be the first of hundreds of nights where he returned home late smelling of smoke. In 1963 he was employed as a forester where he helped develop aerial controlled burning and oversaw the introduction of aircraft fire spotting. He was general manager of Conservation and Land Management between 1985 and 1994 where he spent most of his time overseeing regional operations and bushfire management. In 1994 he left that job to take a role at a forestry and bushfire management consultancy firm. Nine years later he co-founded volunteer group The Bushfire Front in response to what he said were declining standards of bushfire management in WA. 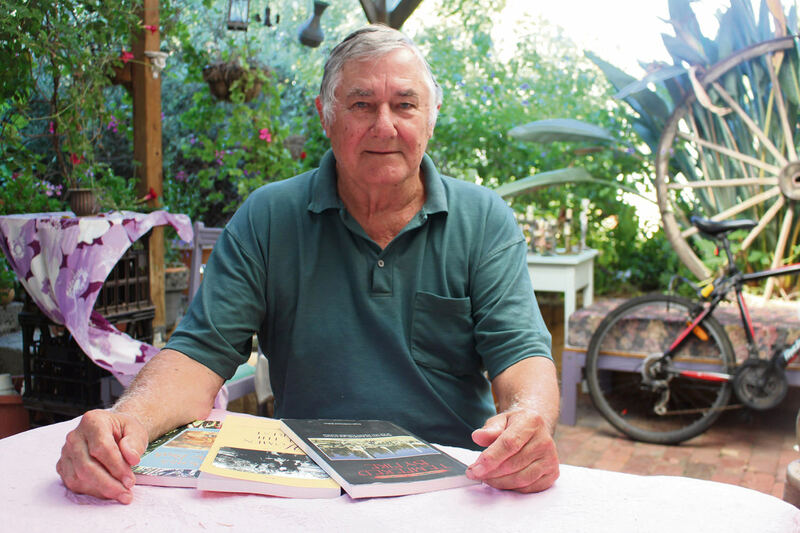 In between, he has written numerous papers, articles and books on forestry and bushfire history, with more on the way. “Our job was to conserve and protect,” Mr Underwood said. Western Australia needs to have more controlled burns to curb the risk of out-of-control bushfires, the WA premier says. Mr Underwood said Australia was "doomed to savage bushfires" without prescribed burns. The VFFA can now be contacted on 1300 609 221. Incoming phone calls are converted to a voice message and directed to the appropriate person. Andrew on A Compassionate and Supportive Cabinet? Peter Morris on Sorry Mr Mullins – what about FUEL? New memberships are most welcome and existing members can use this form as a way of ensuring that we have the most up to date information. Data will be checked for duplicates before the database is updated.